This season the shearling coat make’s it return and I couldn’t be more happier! Shearling coats were traditionally huge in the 70’s and over time they have returned every few seasons. Not only are they so deliciously cosy and warm but they are also a statement piece, commanding attention, full of style and very on trend. 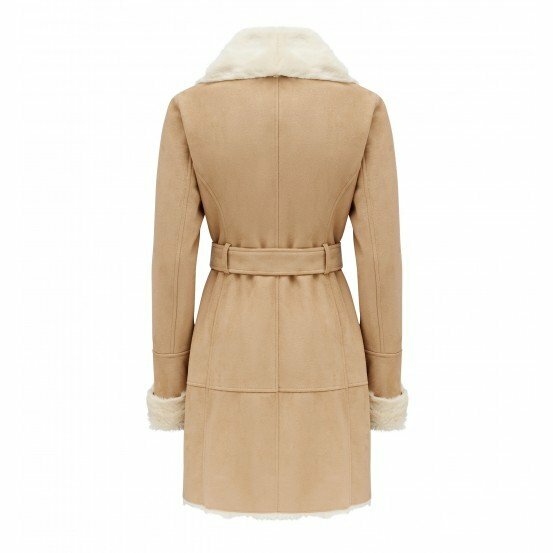 Traditionally shearling coats are made from sheepskin but a synthetic version of shearling was introduced years ago and are now very popular. This seasons AW16 has seen a resurgence for the shearling coat and many different variations of the classic coat. 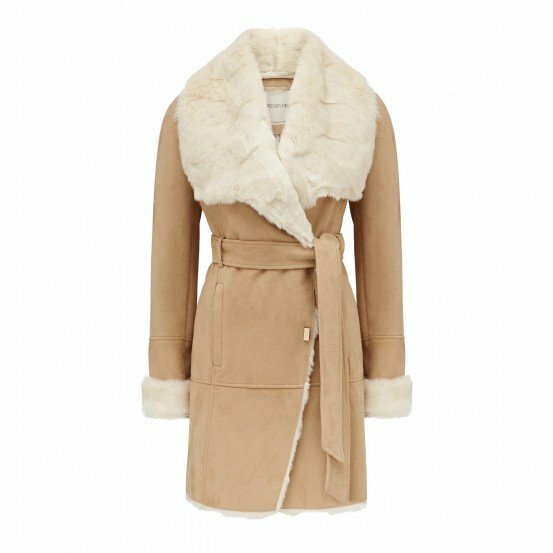 Forever New have brought out their own shearling coat with a faux fur trim in camel. This coat come’s with an oversized collar, a side front placket with two snaps, side seam zipped pockets, a removable self-tie belt that can be tied for a waisted look or untied for a waterfall silhouette and seaming detail. Styling options for this trend are endless! I would suggest wearing this coat over a knit top or button down shirt with skinny leg denim jeans and ankle boots for a casual street style look. Whatever you decide, you will never be short of outfit choices.